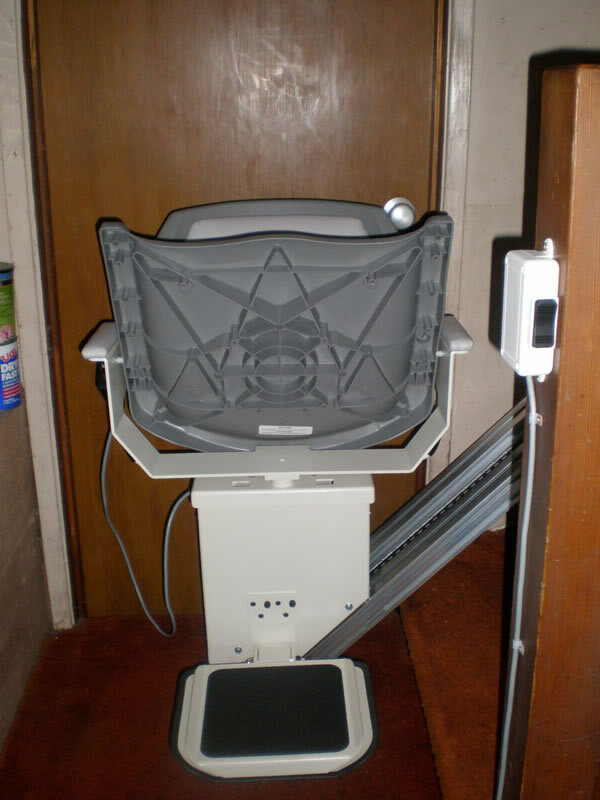 Donna in Vallejo, CA sent us these pictures of her AmeriGlide stairway lift. 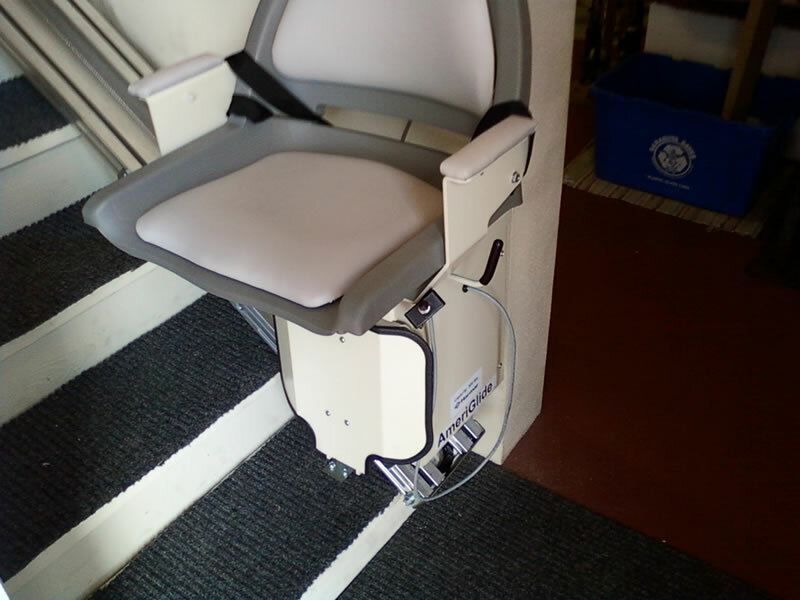 Although the staircase is rather narrow, the AmeriGlide stairlift still has plenty of room to get the job done - and as you can see, the seat folds up to provide extra space for foot traffic when the lift unit is not in use. 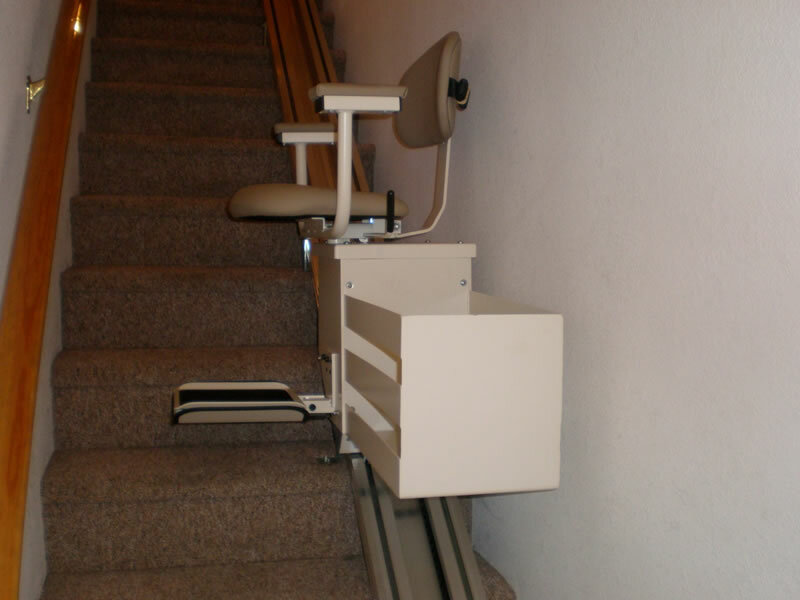 These stairlift photos come from H.L. 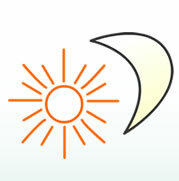 in Bradenton Beach, FL. 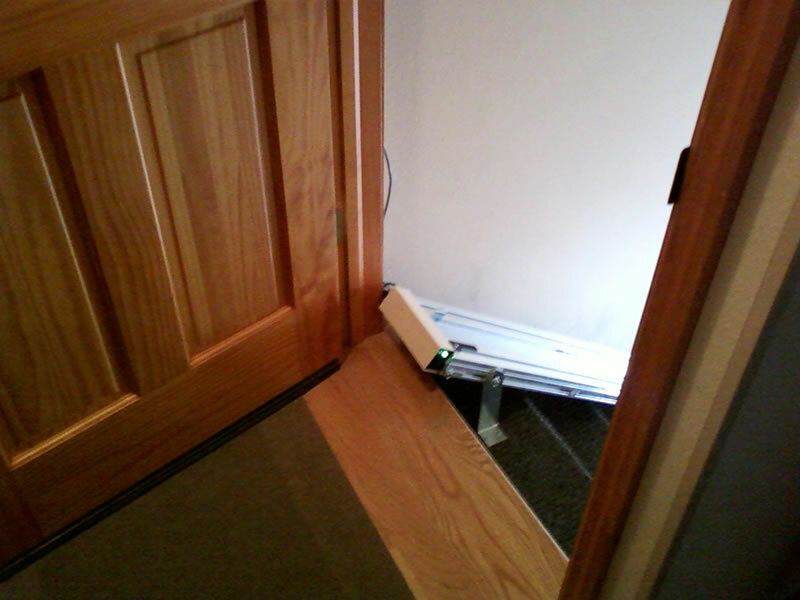 Note that the track for this AmeriGlide stair lift is cut to fit this stairway precisely - the door will still shut completely without bumping into the end of the track. 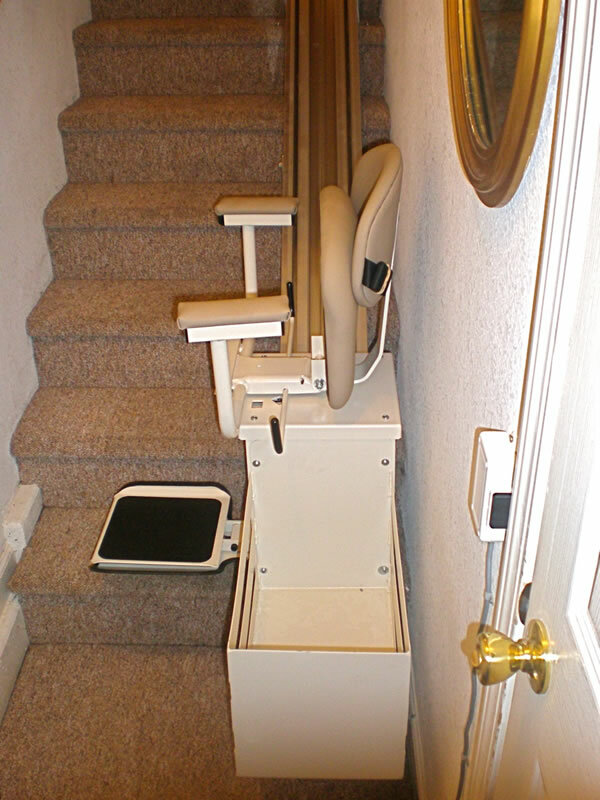 Did we mention that you can fold up the foot plate on an AmeriGlide stair lift to give housemates more walking room on the stairway? 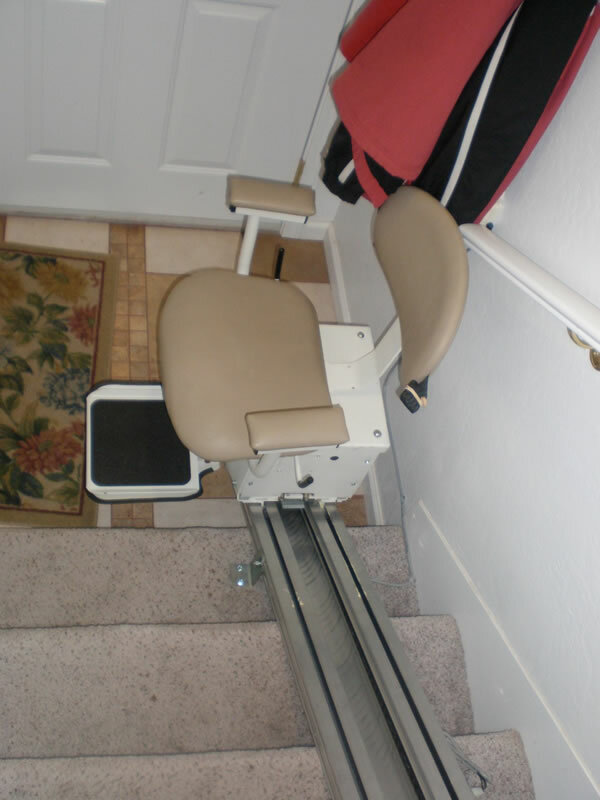 James in Rio Linda, CA chose an AmeriGlide Deluxe stairway lift for his home. 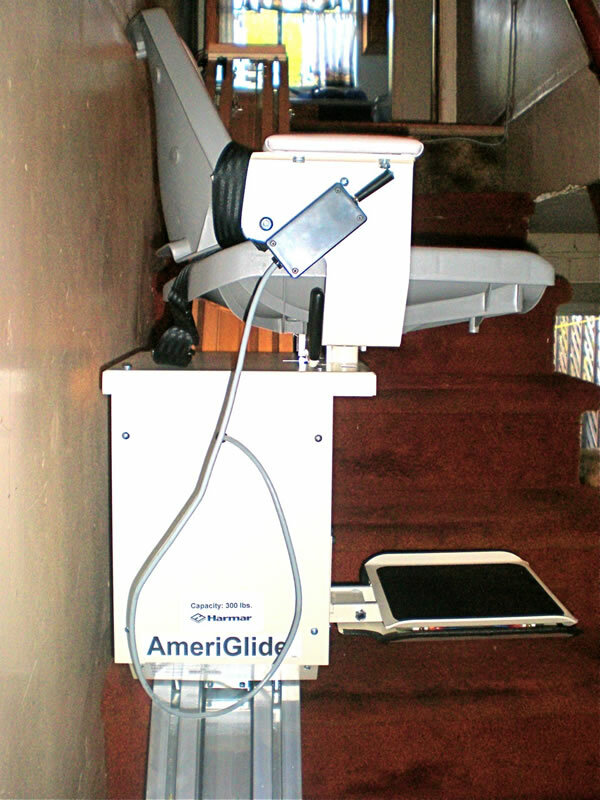 AmeriGlide Deluxe stair lifts operate on a winding drum-and-cable drive system, and all the internal components are sealed to prevent oil leaks on your floors and furniture. 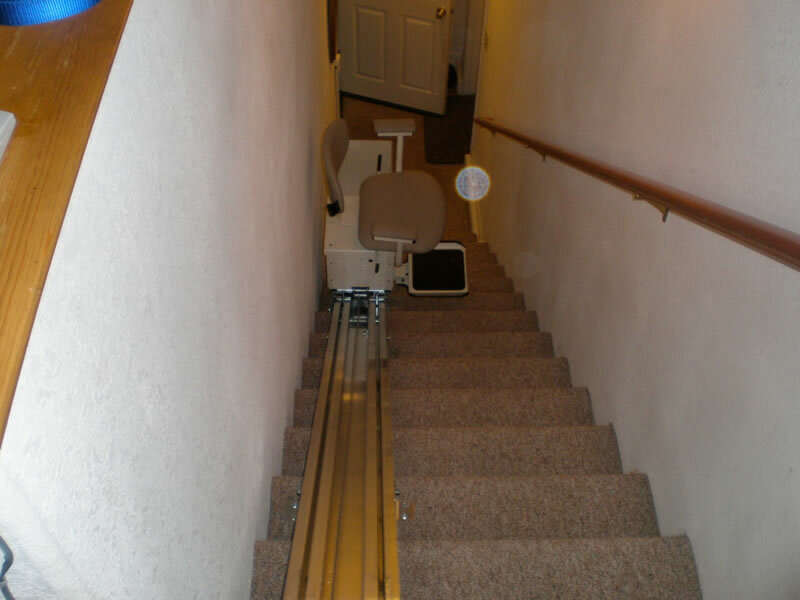 This means that a AmeriGlide Deluxe lift requires virtually no maintenance - all James will need to do to keep his AmeriGlide Deluxe stairlift in good working condition is to grease the track about every six months. 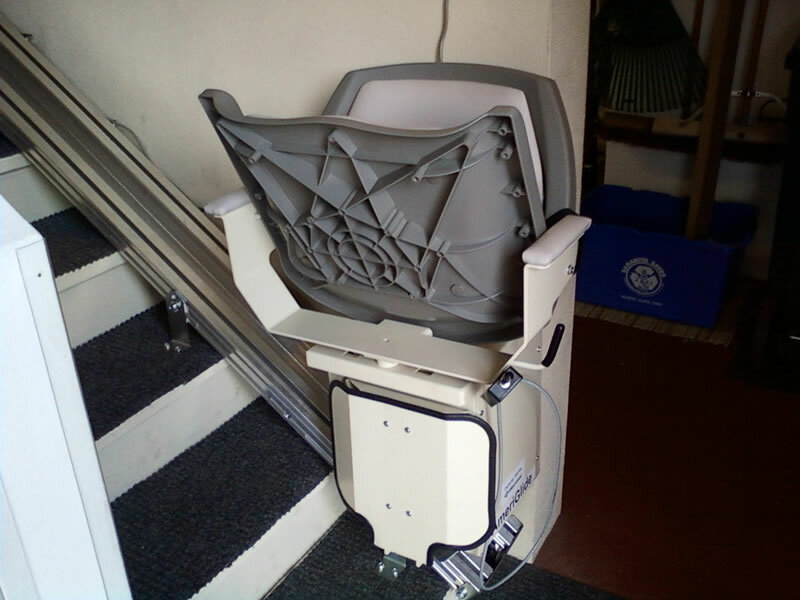 Stephen in Twain Harte, CA chose a cargo basket option for his AmeriGlide Deluxe stair way lift, and sent us some great shots of it in action. With the cargo basket, porting things like laundry, household necessities, and books between levels of his home will be easy for Stephen to handle without any added risk of falls or injuries! 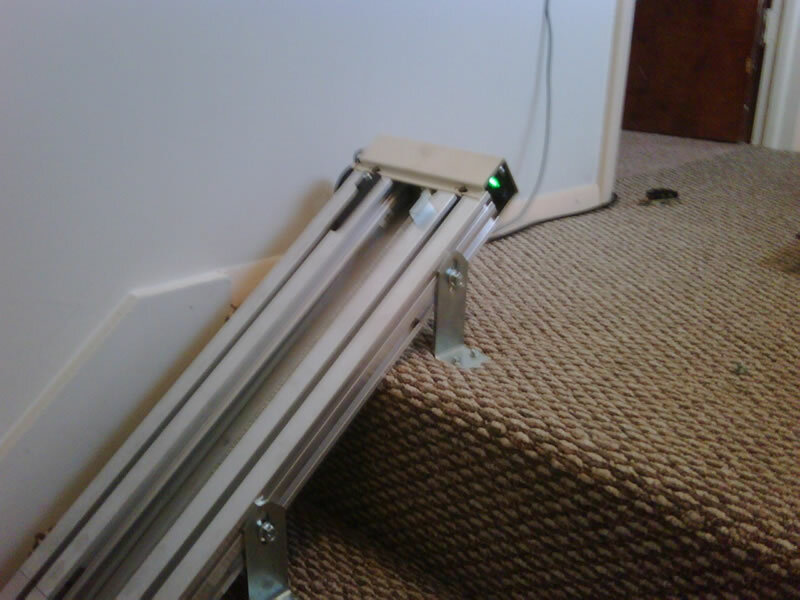 Willie in Muncie, IN sent us a photo of a part of the stair lift that you don't normally get to see - the actual track that his stairway lift runs on!